When you get a comment on your post on Buchi Emecheta's works that 'Buchi Emecheta now has a website', the first thing you do is shriek in excitement (well, that's what I did). The next thing is to hope the comment and link is valid, and then click it, find out it is valid and shriek in even more excitement (well that's what I also did). 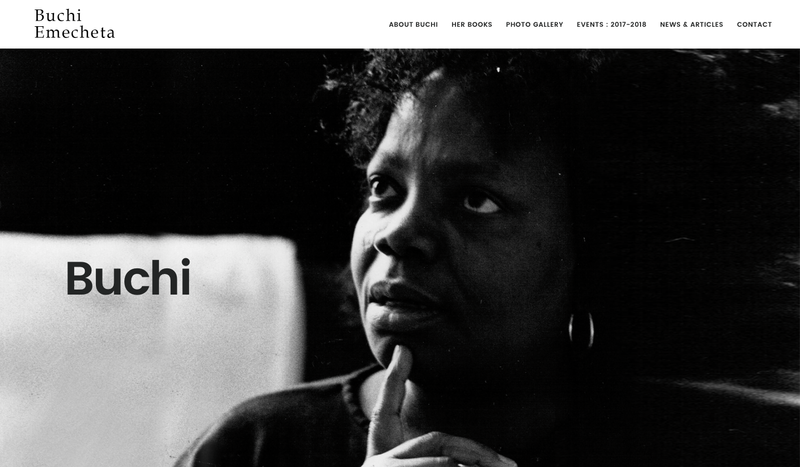 And now I can safely and confidently state that Buchi Emecheta has a website!!!! ... is still in development, but you can navigate there for more information about her life and upcoming events to honour her legacy'. I've already been on it (of course) and there's a bio on Buchi Emecheta, a list of all the books she wrote, a photo gallery with portraits of Buchi Emecheta and her children, and an events calendar. I am so excited about this, so so excited! Can't wait to see what else will be on the website as it develops. So check it out and spread the word - because great women writers need to be constantly celebrated, and we must continue to honour Buchi Emecheta's legacy.